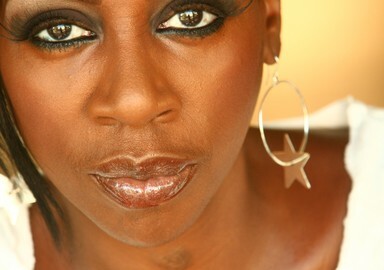 GINA YASHERE broke onto the American comedy scene with her recent appearances on LAST COMIC STANDING (NBC), where she made it to the final 10. What you dont know is that GINA YASHERE'S sellout live appearances are legendary. Her bombastic delivery, infectious personality and cheeky observations have wowed audiences not just in the UK but also in America, Dubai, Hong Kong, Singapore, Montreal, South Africa and all over Europe. Gina hails from London via Nigeria and shoots from the hip. Her unique take on being both cultural insider and outsider never fails to raise the roof. Following an early career as a Lift Engineer, YASHERE made her comedy debut at The Edinburgh Festival in 1995. The shows sold out almost immediately and overnight both audiences and critics alike were smitten. And if all that were not enough she has even managed to find the time to write several plays for BBC Radio 4 and sketches for RICHARD BLACKWOOD'S channel 4 series (UK). In fact It's a wonder she found the time to pickup her 3rd award in a row for BEST FEMALE at the recent BLACK COMEDY AWARDS (UK).